This week we are excited to feature the fast rising Jazz and African guitar phenom Kato Change. View his profile below. 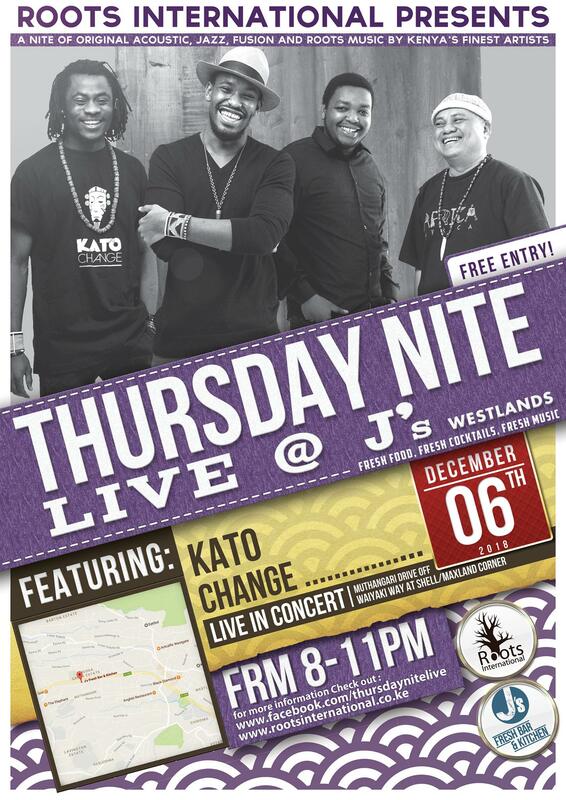 Kato Change is one of the premiere guitarists in Kenya and a champion of global cultural exchange. A charismatic performer with inimitable improv chops, Kato Change flirts with virtuosity. Hailing from Kenya, the guitarists beaming onstage persona is paired with a nimble command of his instrument. Kato continually draws from a heritage of jazz legends as well as African, Flamenco, rhythm and blues and rock genres, creating sounds that are both familiar and utterly singular. In 2012, Kato was selected to be one of thirty two musicians selected worldwide to be part of the One beat program, a residency and tour that brings together musical leaders from around the world to create original work and develop a global network of civically engaged music initiatives. He has played as the Lead guitarist in Tusker project fame season 6 and as the rhythm and lead guitarist in all 3 seasons of Coke Studio Africa. He has played and recorded with many of the greats including Neyo, Salif Keita, Seun Kuti, King Sunny Ade, Fally Ipupa, Ice Prince, 2face idibia, Dave Douglas and Omar lye fook. Change Experience, and several other groups in Nairobi.